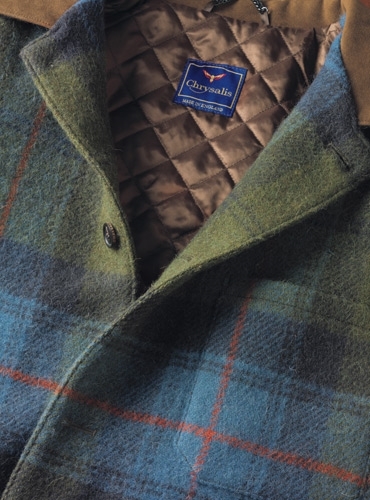 Our exclusive cornflower blue and sage green plaid “blanket” jacket in lofty wool is made in England for us by Chrysalis, the renowned sporting outerwear maker in the UK, in the finest lightweight, but warm and protective wool. 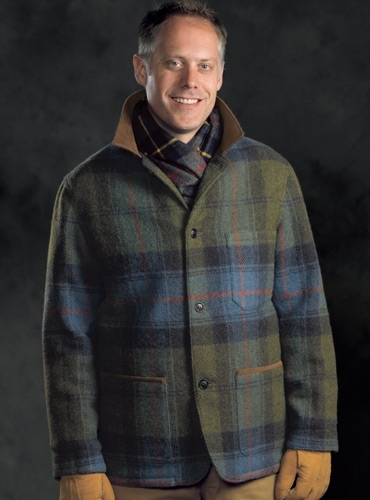 Trimmed with handsome nutmeg suede, at lower open patch pockets, elbow patches and collar, and highlighted with burnt orange and navy accents to the plaid. 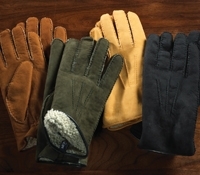 The quilted satin faced interior contains two inside pockets. 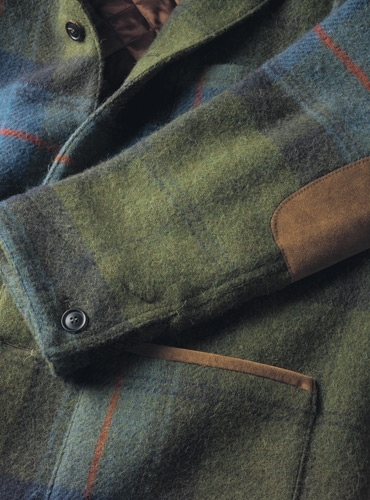 This manly jacket is as warm and comfortable as it is handsome. Sizes M-XL. 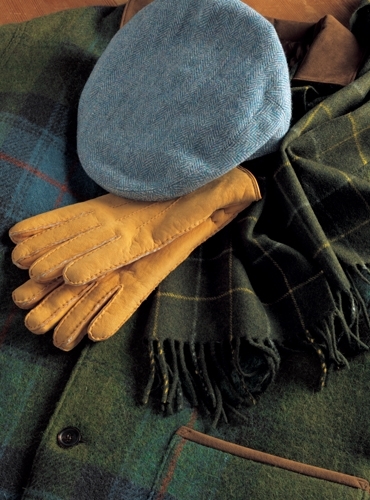 We propose our navy and charcoal plaid cashmere scarf, with a lemon and fire overcheck, as an understated accessory. 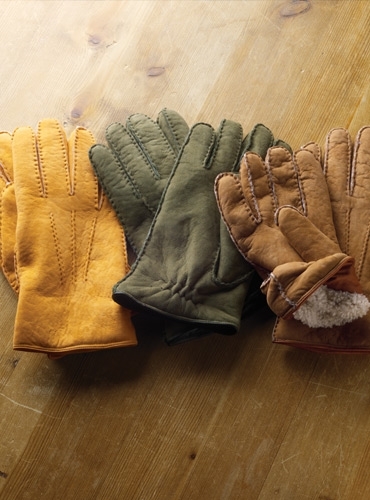 The natural shearling lined gloves are tanned chestnut.